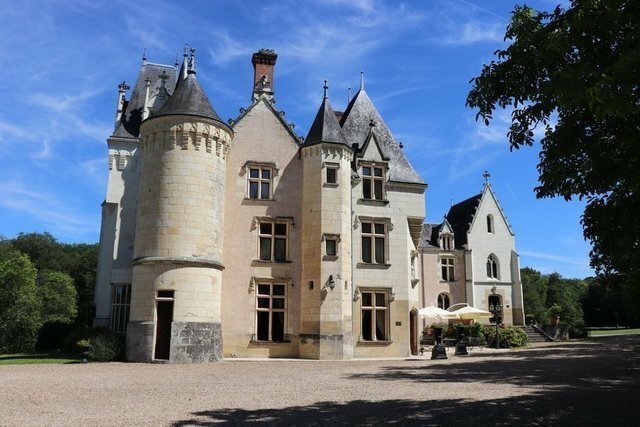 Located halfway between Tours and Poitiers, this exceptional 700 sqm chateau steeped in history is set in 95 ha of magnificient grounds. Each of its 13 bedrooms has been superbly decorated, and all benefit from private bathrooms. Seek refuge a meticulously restored chapel, spend time with friends and family in the 450 sqm guest house, relax in a renovated dovecote fitted with a suite and enjoy unforgettable moments of conviviality in the hunting lodge.